I have a basket full of headphone splitters for my computers and iPads. This allows two students to be on one devise and use a set of headphones each. There are even splitters with up to 5 different connectors. 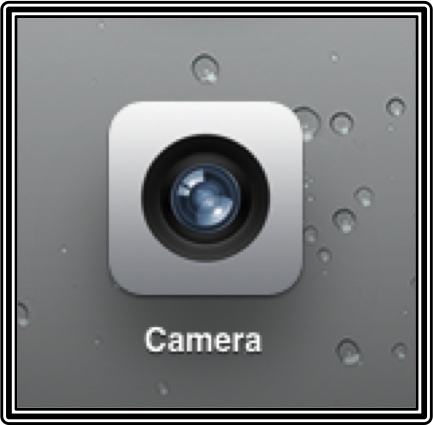 I love the camera feature on the iPad. The fact that I can hand students the iPad and say, "Go record..." is wonderful. My students have recorded their Ode to... (fill in the blank) using the iPad. One student holds the iPad while the other one is recorded. 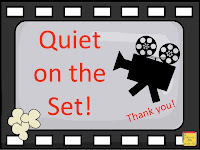 If we aren't using microphones, we use the "Quiet on the Set!" sign. Students will show this when we need it a bit quieter. It is never completely silent because students are not comfortable recording themselves with everyone listening. My other favorite site to use with the iPad is Vocaroo for the listening portion. Students can record using a desktop/laptop and then you can upload to the class website. Great for a "listen to reading" station. My favorite use of Vocaroo is recording, If I Were in Charge of the World poem project. Poetry Magnets- Move words around to create poetry. I will then have students take a screen shot of the poem they created. It will add it to the library of photos. 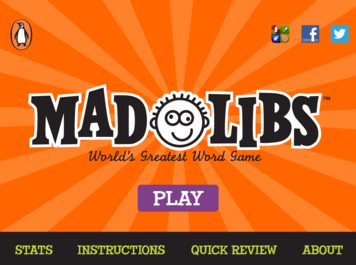 Mad Libs - A fun and engaging way for students to practice parts of speech! First, students pick a story title. Then, they are asked to fill in a part of speech, one word at a time. If they are having a hard time finding a word, there is a hint button. Once you click on the hint button, words scroll across the bottom! 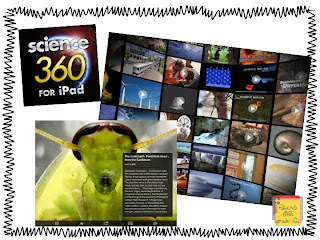 Science 360 - This app provides the latest science videos from scientists. The pictures are amazing. There are videos and pictures of extremely high quality! This linky is open all week. I would love to see how you use the iPads in your classroom. 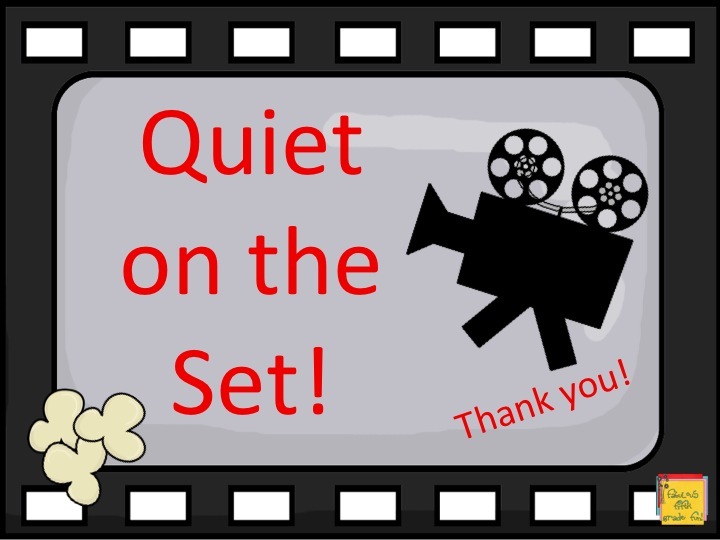 Love the Quiet on the Set sign idea! 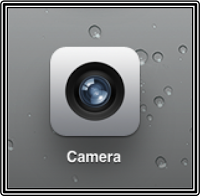 I'm excited to be getting an ipad that has a camera when I get the mini. Right now the only ipad I have is the ipad1. I was given it right when it came out. Great post! Lots of good suggestions. What browser do you use for vocaroo since it typically isn't supported on the iPad? I used vocaroo on out computers but used audioboo with our iPads. I would love to be able to use vocaroo on both. You are so right!!! We use Vocaroo so much that I probably confused it with audioboo which I like also, but my kids seemed to gravitate to Vocaroo more often. Probably, due to more laptops than iPads. Thanks! 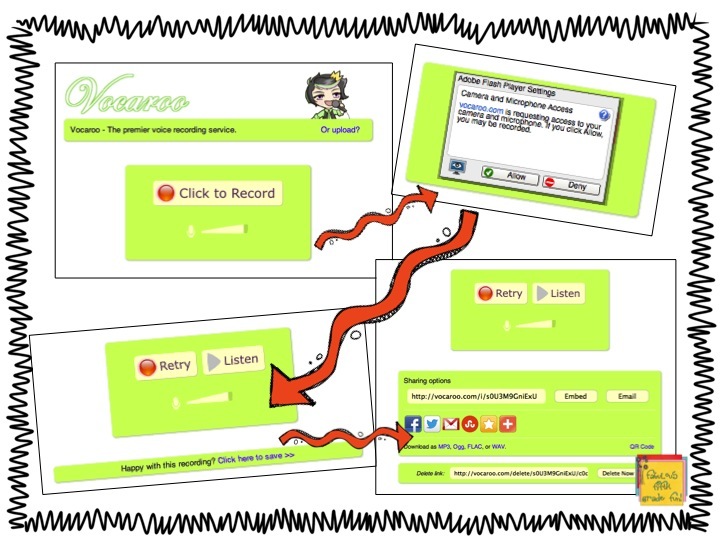 Vocaroo sounds great-- I think this year I actually will have my little friends record themselves reading a story (I usually have them record their voices only for reading response activities). They love hearing their recorded voices so I feel like I might as well try it with them actually reading too! I love your ideas about students recording. Thanks for sharing!